OKLAHOMA CITY (December 21, 2015) — MVP Holdings, LLC (MVP) today announced the creation of MVP Midstream, LLC, with offices in Wichita and Oklahoma City. The new entity will focus its efforts on building and acquiring additional midstream assets to serve producer customers and market participants in the crude oil, natural gas and refined products industries. Since 2008, MVP’s subsidiaries MV Purchasing, MV Pipelines, and KPC Pipeline, have served energy producers, refiners and market participants throughout the midcontinent region. Services include crude oil marketing and logistics services from the wellhead to the Cushing, Okla. market hub. In addition, the KPC Pipeline has served to link the midcontinent natural gas producers with the Kansas City gas markets. S. Rusty Rains joins the MVP Midstream leadership team as vice president of business development. Brandon Webster and Aaron Wright are senior directors of business development. “We are pleased to be adding such a strong team with over 50 years of experience to complement our existing leadership at MVP Holdings,” said Gary Navarro, president of MVP. Rains is a graduate of the University of Oklahoma in finance and began his energy career at Conoco in 1988. At Conoco and its successor ConocoPhillips he held various positions of increasing responsibility in domestic and international business development and marketing, focused on the midstream and downstream sectors. In 2006, Rains joined Enogex and its successor Enable Midstream Partners where he managed business development and M&A activities. Wright recently managed business development and crude marketing for Arrow Midstream located in the Williston Basin until that company’s sale in 2013. According to Navarro, Wright brings a strong producer focus from his recent work for Tulsa-based Cimarex Energy Company in the crude marketing organization. Wright has an energy MBA from the University of Oklahoma. Webster recently managed the midstream midcontinent and north Texas business development activities for Kinder Morgan. He is a graduate of the University of Central Oklahoma in Mass Communications and Business Administration. 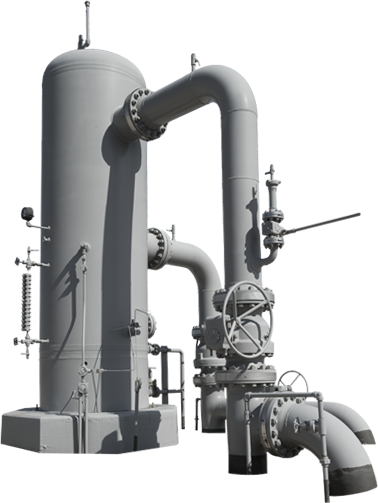 MVP Holdings is a privately held company based in Wichita, Kansas that owns MV Purchasing, LLC, MV Pipelines and MVP Gas Services, LLC. Owners David Murfin and J. Michael Vess have a rich history in the oil and natural gas business. Murfin is president of Murfin Drilling Company and chairman and CEO of Murfin, Inc. Murfin Drilling was founded in 1926 and continues to drill extensively in the midcontinent area. Vess is the chairman and managing owner of Vess Oil Corporation that operates over 1,600 wells spanning Kansas, Texas, Montana and Oklahoma.